The Amazon SimpleDB Translator, known by the type name simpledb, exposes querying functionality to Amazon SimpleDB Data Sources. This translator provides an easy way connect to Amazon SimpleDB and provides relational way using SQL to add records from directly from user or from other sources that are integrated with Teiid. It also gives ability to read/update/delete existing records from SimpleDB store. Since all attributes are by default are considered as string data types, columns are defined with string data type. If you did modify data type be other than string based, be cautioned and do not use those columns in comparison queries, as SimpleDB does only lexicographical matching. To avoid it, set the "SearchType" on that column to "UnSearchable". The translator does NOT provide a connection to the SimpleDB. For that purpose, Teiid has a JCA adapter that provides a connection to SimpleDB using Amazon SDK Java libraries. To define such connector, see Amazon SimpleDB Data Sources or see an example in "<jboss-as>/docs/teiid/datasources/simpledb"
The Amazon SimpleDB Translator currently has no import or execution properties. The Amazon SimpleDB Translator supports SELECT statements with a restrictive set of capabilities including: comparison predicates, IN predicates, LIMIT and ORDER BY. Insert, update, delete are also supported. The SimpleDB translator provides a procedure to execute any ad-hoc simpledb query directly against the source without Teiid parsing or resolving. 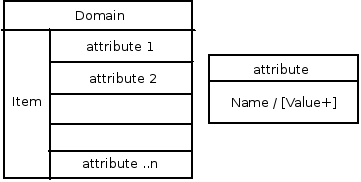 Since the metadata of this procedure’s results are not known to Teiid, they are returned as an object array. ARRAYTABLE can be used construct tabular output for consumption by client applications. Direct query supported for "select" based calls. The Teiid specific Amazon SimpleDB Resource Adapter should be used with this translator. See Amazon SimpleDB Data Sources for connecting to SimpleDB.